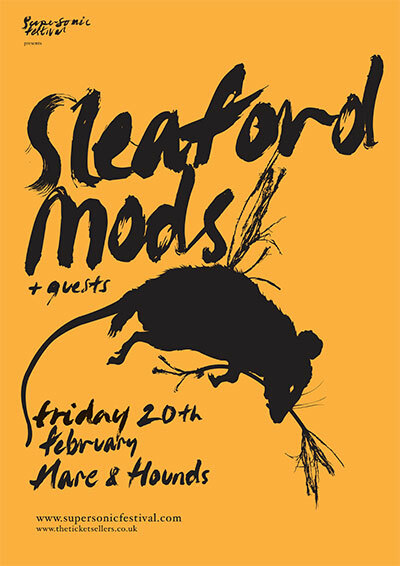 We’re excited to welcome back Sleaford Mods to a sold out show at Hare & Hounds on Friday February 20th. Sleaford Mods are experiencing something of a meteoric rise, having just been announced for Primavera Festival and last year gaining accolades everywhere, including from Mark Fisher and Stewart Lee (not to mention some ‘beef’ with Noel Gallagher, perhaps a compliment in itself depending on your point of view). Last but not least, watch this space for an announcement about Supersonic Festival 2015, which will be coming soon.